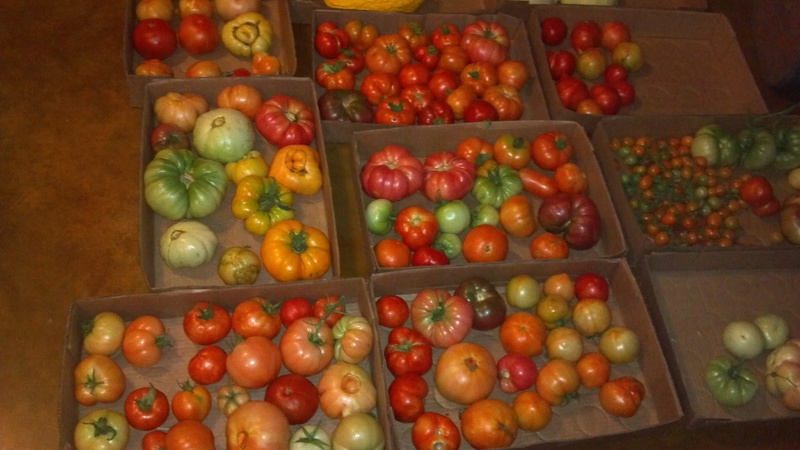 Gage will have these tomatoes at the Ark City Farm and Art Market this afternoon, 4:30 – 6:30 pm. He will also have zucchini, yellow squash, pattypan squash, cucumbers (crispy picklers and smooth burpless), cabbage, red potatoes, and maybe even some green beans. Also selling zinnia bouquets and pecans. Come out and stock up for the 4th of July!